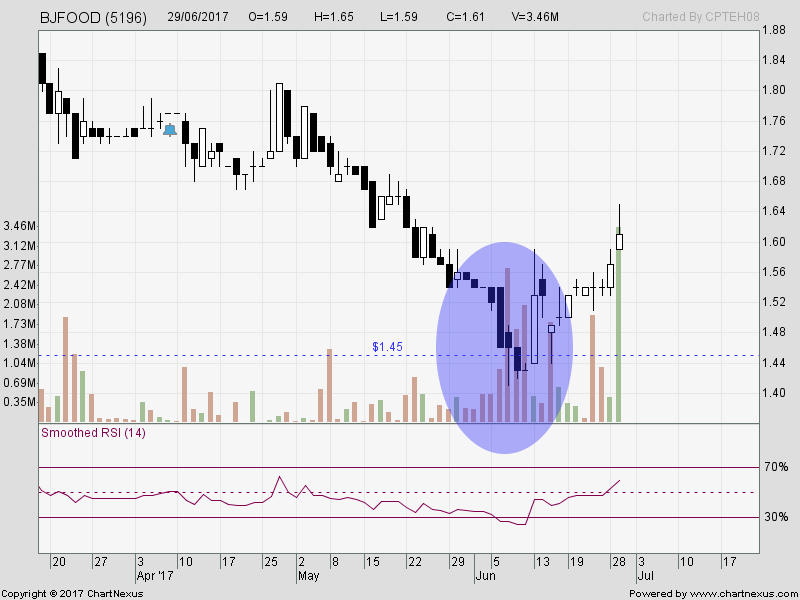 BJFood : Bought 1.45 level and sold round 1 during the long white candle up. Then bought back 1.57 and sold yesterday at 1.62. 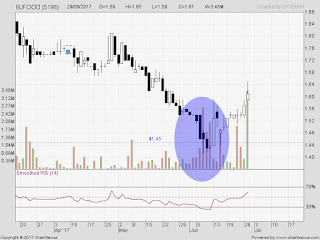 VERY high volume coming in yesterday ... so, sell first ... check at RM1.45 again. Note :BJFood is in RHB's Jewel list.